If you have been injured by a dog call now to get a free consultation with Los Angeles dog bite lawyer Allen Vaysberg at 1-800-824-5416. Attacks by canines can result in serious injuries such as infections, scarring, disfigurement, and psychological trauma. While every case is different, this page may answer some of the questions which you may have if you or a loved one has been bitten by a dog. Suffering from a dog bite can cause physical, emotional and psychological pain to victims, even if they were an avid pet lover before the accident, which is why the Los Angeles dog bite attorneys at the Law Offices of Steers & Associates strives to deliver impeccable representation to help them recover fully from the attack. The Law Offices of Steers & Associates’ diligent approach to representing our clients begins with a free consultation to understand the circumstances surrounding your case fully. Our attorneys are committed to providing a personal partnership with our clients, so they never feel like a number in our caseload, but an honorable and respected confidant in our quest to hold the negligent party responsible for their injuries. Which dogs bite the most? Who is Responsible for a Dog Bite or animal injury? The dog bite attorneys in Los Angeles at the Law Offices of Steers & Associates will always explore if the dog owner is responsible for their pet’s behavior, especially if the animal has injured another person. Whether it is a family or friend who lost control of their pet or a complete stranger who lost track of their animal during a walk, the injuries can scar a victim physically and emotionally. There are also situations where landlords may be liable for tenants’ animals. California Civil Code section 3342: (a) The owner of any dog is liable for the damages suffered by any person who is bitten by the dog while in a public place or lawfully in a private place, including the property of the owner of the dog, regardless of the former viciousness of the dog or the owner’s knowledge of such viciousness. Los Angeles County Code Sec. 10.32.010: It is not permissible to let your dog run at large on any streets, public places, or private property belonging to anyone other than you, day or night, with or without a license. Each day, approximately 1,000 citizens in the United States require emergency care for a dog bite. This startling statistic leaves over 79% of the victims suffering from bodily harm. Nearly half of people injured in dog bites are children under the age of 14 years old. Severe injuries, maiming and even death can occur when the victim is not discovered immediately, or if they were unable to defend themselves in any capacity. In any case, the dog’s owner is responsible for the training and obedience of their dog. If they fail in this area, and someone is injured as a result, that person can be legally considered in dereliction of their responsibility, and we will help hold them responsible for your injuries. All too often, as our dog bite lawyers can attest, victims may feel guilty for holding a friend or family member responsible for their dog’s aggression. 77% of dog bite cases occur from the pet of family or friends, and 50% of those attacks occur on the dog owner’s property. It is important for people to understand that there is often insurance coverage that is involved that can pay claims when they are injured rather than payment coming out of the dog owner’s pocket. While dogs are “man’s best friend”, dog bites and/or dog attacks are fairly commonplace. A dog bite or dog attack can result in serious injuries such as scarring and disfigurement as well as emotional trauma and decreased earning capacity. The Law Offices of Steers & Associates has successfully obtained just compensation for numerous victims of dog bites and dog attacks. Thorough factual analysis during initial (free) consultation with clients. Knowledge of laws and issues that specifically relate to dog bites and animal attacks, including availability of insurance coverage, rights of pedestrians, and inattentive animal owners. Obtain police and investigative reports when appropriate. Have law firm’s investigators obtain witness statements when necessary. Inspect scene of animal attack if necessary. Fast response to clients’ questions. Monitor medical treatment to ensure clients are satisfied with their care. Prompt preparation of demand for compensation to insurance company once medical treatment is finished. Assistance in resolving clients’ medical bills including any lien issues. Aggressive and thorough representation in the event a lawsuit has to be filed. If you or a loved one has been injured by a dog, it is important that you obtain legal representation to hold the insurance company responsible for your affliction. Our experienced and dedicated attorneys will provide you with the assistance you need to recover a financial settlement to heal physically and emotionally. The Law Offices of Steers & Associates offers our legal services with injury cases on a contingency-fee basis. When a settlement for damages is secured, then the firm’s legal fees will be covered by an agreed upon percentage of the financial compensation to the client. If you have been seriously injured by a dog attack, contact our offices today to schedule a free consultation. Which dog breeds bite the most? Certain breeds may be more predisposed to attack due to how they were bred, socialized, and unfortunately how they are treated by their owners. For example, pit bulls get a bad rep because they are on the top of the list of dogs that are thought to be more violent on average. That is not to say that all of them are like that; there are some very sweet ones that are very nice dogs. Rottweilers are another example of that. German Shepherds are on the list, but the can also be very intelligent and obedient dogs. Many dogs are very sweet even in so called aggressive or dangerous breeds. Another thing to point out is, unfortunately, sometimes the owners mistreat their dogs. It’s not just pit bulls – to single them out – but other dogs, too. Some owners mistreat their dogs and either abuse them or make them very cranky and encourage them to be violent. Unfortunately those dogs can be less predictable and will treat anyone that’s not their owner as a potential enemy. Small dogs make up a surprising number of biters as well. While their jaws may not crush bones they can cause serious injuries and scarring. A few small breeds which have caused major injuries include Chihuahua, Pomeranian, French bulldog, Shih Tzu, Miniature Pinscher, and dachshund. Where do dog bites or attacks usually occur? Dog bites or dog attacks can happen anywhere. They can happen in someone’s home or back yard. They can happen in parks. They can happen out in the streets even. They can happen any time there’s an interaction between a person and a dog. Do dog attacks usually happen because a dog is provoked? There are times where a dog bite happens because a dog is provoked. If a dog bites because it is provoked, that could be a defense for the dog owner against the person that was bitten or attacked. Do dogs attack randomly? Do dogs just snap and attack people sometimes? Sometimes it’s because the dog is being provoked and that’s unfortunate. There are other times though, of course, where we see that dogs will bite or attack someone without warning. Sometimes a dog is happy to see someone and jumps on them and knocks them down as well. What are some common misconceptions that people have about dog bites in general? Some people think that in California the dog owner had to have known that the dog had previously had a violent history – the “one bite rule” as some people call it. Actually, under California law, if the dog bites somebody, the dog owner can be held strictly liable unless there are certain defenses like if the dog was provoked for example. It’s important to make sure the dog is monitored and on a leash if it’s out in public. Who’s liable for a dog attack? It depends. If it’s a dog bite, you look at California Civil Code Section 3342, which talks about dog bites. It makes a dog owner – the key word is “owner” – strictly liable if their dog bites someone, whether it’s in a public place or whether the person that’s bitten is lawfully in a private place, including the property of the owner of the dog. That’s regardless of whether or not the viciousness of the dog in the past is known or not. 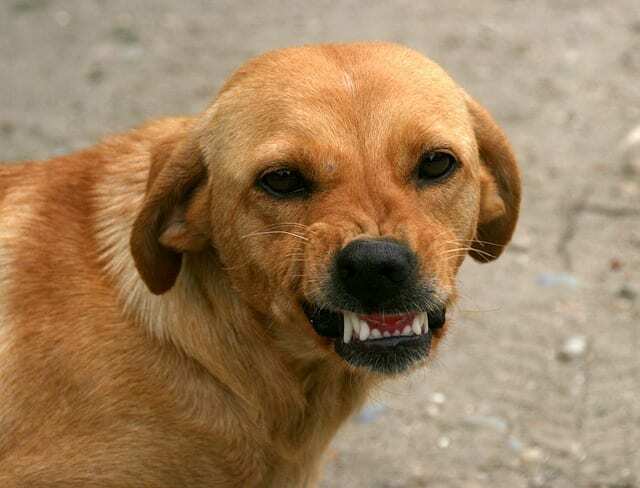 In other words, there does not have to be a prior dog bite or attack by that dog for the owner to be strictly liable – subject to certain defenses, of course, like if the dog was provoked or if someone is trespassing – for a dog bite. This California law applies to owners for bites. If an owner’s dog attacks somebody or bites somebody, then if the person that’s injured wants to pursue a claim against the landlord or the owner of the building, that’s a different standard against the landlord or building owner. Then the standard that would apply would be negligence. Against a landlord or building owner, you have to show that there was prior notice that the dog had dangerous propensities or that they should have known about that. A way to help show this is if the dog previously bit or attacked someone or if there was a prior complaint. I’ve been bitten. What’s going to happen to that animal? I think if the dog hasn’t had any kind of a previous problems – attacks or bites – the owner will still be able to keep the dog, but they have to be careful and ensure that there are no further incidents with the dog. It’s a good idea to also report it to the local animal control board in that jurisdiction or city just so they’re aware of the situation. If the dog has attacked someone before, or if the nature of the current attack is extremely violent and severe, then it could be a situation where the dog is taken away by animal control. If it’s a first attack or bite, generally speaking, the owner gets to keep the dog. If the dog has been doing this before, unfortunately for the owner the dog could be taken away. If I’ve been attacked by a dog and the owner tries to contact me, and I’m already working with an attorney, can I talk to that individual or should I say, “You need to talk to my attorney first”? When a victim of a dog bite or attack is contacted by the dog owner, they should direct the dog owner to their attorney, or at least inform them of that. If the dog victim doesn’t have the dog owner’s contact information, they should try to get that from them as well as their liability insurance information. If an insurance company is trying to reach the dog bite victim they should be instructed to direct their call to the attorney if one has been hired or their information should be passed on to the attorney. We always send out a letter to the insurance company once we are hired notifying them of our representation and instructing them to only contact us and not our clients directly. Have you ever worked with cases where there’s an independent contractor that’s working at someone’s house or someone that goes over to someone’s home to check the meter? Are those frequent victims or is that just a myth? Yes, it’s out there in popular culture; the postal worker that’s attacked by a dog when delivering the mail. Where there’s proximity or interaction, it’s always a possibility. Let’s say I’m a dog owner and I have a dog. Is it any different if someone’s at my house and gets bitten by my dog? Does that work any differently? No, it generally requires the same analysis, unless there’s a defense that the person that was bitten on the private property is not lawfully on the property. If someone is on the property with the permission of the owner, whether they’re a guest or they’re just doing work there, the same analysis would apply that we discussed. Do you ever see it as a moral dilemma where there’s someone that gets bitten by a friend’s dog? What happens there? Yes, it could be a situation where sometimes people are worried they’re going to strain their relationship with their friend. The friend is the owner of the dog that bit them or attacked them. If it’s the first time the dog bit or attacked somebody, generally speaking, the owner gets to keep their dog. If the owner of the dog has insurance, the injured person can make a claim with the insurance company and hopefully the owner won’t be personally responsible out of their own pocket. A victim of a dog bite or attack has the right to pursue recovery if the facts warrant that. It’s really up to them. It depends on how significant their injuries are and what their situation will require in the future for medical treatment and recovery. It all depends on what they want to do. We never force somebody to pursue something. It’s up to them. Is that a common story where you see the pit bull breaking its chain and going and attacking someone? I think it’s more common when dog is being mistreated, whatever form that may take. If they’re freed from their constraints, they may go crazy a little bit. Sometimes a dog will bite or attack someone even when they are not mistreated too. Would it make a difference if a dog attack happens to a minor? Yes. There are special considerations when a dog attacks or bites a minor. In California, minors under the age of five are, as a matter of law, deemed not capable of negligent acts. The owner of the dog that bites or attacks a child under five cannot use a defense that the child didn’t act with due care. In other words, they’re legally incapable of provoking a dog if the kid’s under five years old, so they can’t argue that. They don’t have sufficient means to understand what’s being careful and prudent and right from wrong. They’re too young to understand that. Minors acting in obedience to parents’ directions are, as a matter of law, deemed incapable of being found as negligent as well. There are also some situations where there are dogs at daycare centers. Some daycare centers require parents to sign a release that aims to relieve this daycare center from its own negligence or failure to exercise due care. The courts have held that such agreements are not valid in court because they are against public policy. What if the owner of the dog is a minor or teenager? If the person’s a minor, if they’re following the instructions of the adult, the responsibility goes to the adult as far as what ultimately happens if the dog bites or attacks somebody. In Los Angeles, it’s pretty much the same process. If the dog bites somebody, the owner is liable, subject to certain defenses. If the dog attacks somebody, there’s still a defense that may come into play, but basically, if you can show that the owner should have known about the dangerous propensities of the dog or knew about it, they could also be held responsible. With your experience in this whole field, especially with dog attacks, what are some preventative measures that you would recommend to a dog owner? First off, I’d make sure they have the means and ability to give that dog or animal the proper attention, to make sure they’re not neglecting that dog. Dogs must be fed properly, given enough water, taken on walks, all of those things. If a person is too busy to take care of a dog, they shouldn’t have a dog, in my opinion. That’s number one. Number two: I would make sure that the dog is secured properly. They need to be on a leash when out in public in most cases. If they’re on the owner’s own property, there should be a fence or gate or enclosure that’s in good working condition and there are no exposed areas where the dog can escape. Third, a dog owner should carry liability insurance, whether it’s homeowners insurance or renters insurance or umbrella insurance. That way, if the dog does bite or attack somebody, they have insurance to protect themselves up to a certain dollar amount and they won’t face a greater risk of being held responsible out of their own pocket. What are the leash laws in California? Leash laws in California vary by the city and jurisdiction of where the dog is located. For example, in the city of Los Angeles, there’s a specific leash law where if the dog is off the person’s property or premises, it must be restrained by a substantial chain or leash not exceeding six feet in length. Failure to do so can result in a stiff fine. There are a number of dog parks in the city where it’s legal to let the dog off the leash, but not beaches at present. Violations of this ordinance can be reported to shelters servicing the area. Let’s go step-by-step on what the person should do from the point a person gets bitten or attacked by an animal and decides to go further with it by contacting an attorney. What should happen then? A victim of a dog bite or attack should, first, get the contact information of the owner if they are at all able to do so. Hopefully the owner has some kind of homeowners insurance or renter’s insurance. That’s very important to get that information if at all possible. If the victim is in need of immediate medical care, of course, that’s the first priority. At that point, once the victim of a bit or attack is able to handle their immediate concerns, then yes, we would encourage them to speak to an attorney that is knowledgeable in the area of personal injury and in dog bite law specifically to go over their legal options and see if the attorney would be willing to take the case. Let’s say I’ve met with an attorney. What’s going to happen initially? What is an attorney going to ask me to bring? What should I provide to them? What happens from there? What I do when I meet with someone that’s a victim of a dog bite or attack is I want to get the contact information of the owner of the dog that attacked them or bit them and the owner’s homeowners, renters insurance or umbrella insurance information, if possible. I would want to gather the facts of what happened exactly. How did the person encounter that dog? Where were they? It is important that I understand the sequence of what exactly happened from the time before the bite or attack, during the time of the bite or attack, and what happened in the immediate aftermath. I would also want to know what medical treatment the victim has received up to this point. Were there any records or information about the medical facility that they were given that they can give me? Are there any photographs of the injured area to the body: bite marks, scarring, bruising, bleeding, or things like that? From there, what happens? Does the dog owner get contacted? Does it go to trial? How does that work? The process is that if the dog owner has insurance, a claim is made with their insurance company for the dog bite or dog attack. A notice is typically sent to that owner as well to report the matter to their insurance company. If there is insurance, we would make a claim with the insurance company and the insurance company will assign an adjuster, who would then be in contact with us. They would ask for updates about the injured person’s medical treatment, prognosis, need for future treatment, and what their limitations are due to their injuries. Once treatment is further developed, we can submit what is called a “demand package,” where we would submit our client’s medical records, bills, and reports that document or demonstrate what treatment has been given so far and if there is a need for any future treatment, photographs of the body that were injured in the bit or attack, and records as to any psychological issues if applicable. If we can settle the claim before having to file a lawsuit with the agreement of our client, that is fine. We’ll make a proper recommendation to our client based on the offer that is provided by the insurance company. If their offer is not enough based on the injuries and damages and the availability of sufficient insurance coverage and/or assets, the next step will be to file a lawsuit against the dog owner. When a lawsuit is filed, a court case number is assigned and there’s a trial date scheduled. We go through the litigation process which involves “discovery” where each side can send the other side written questions, ask for documentation, take depositions where parties to the lawsuit and witnesses give testimony under penalty of perjury in response to questions. Usually at some point during the lawsuit or litigation process, there’s something called “mediation” that will takes place where both sides go and have a neutral third party called a “mediator,” often another attorney or a retired judge, try to sit everyone down and try to see if they can settle the case for an agreed-upon dollar amount. If the case settles at mediation or before trial, great. If it still can’t settle, the case proceeds to trial. Most cases do settle before the trial date, but if a case still cannot settle before the trial date, the last step would be for the case to proceed to trial and let a jury decide whether or not the dog owner is responsible. If the dog owner is determined to be responsible, the question that must be addressed is how much in damages are they responsible for? What would a victim of a dog bite or doge attack be entitled to? The victim of a dog bite or dog attack may be entitled to their damages or their monetary compensation just like any other accident victim would be entitled to if they can prove fault against the person or party that injured them. Recoverable items of damages range from medical bills incurred due to the bite or attack to future medical treatment costs, any lost earnings or time missed from work due to the injuries, any other related monetary loss or harm caused by the attack, as well as pain and suffering which can be substantial for dog bite victims. For example, if someone suffers scarring due to a dog bite, this could be very significant in determining pain and suffering damages, especially if the scarring cannot fully heal or be taken care of. This is especially the case if the person is younger and has many more years ahead of them. Have you ever worked with an individual that is not sure if they want to go forward? Sure, sometimes. We have – not just for dog bite or dog attack cases, but other types of cases, too. There are certain people that are not always sure right away. Maybe they think that their injuries are going to get better on their own, but then they realize it’s more serious than they thought. They come to us sometimes once they realize that they need help. Sometimes people think that they can try to handle things on their own, but then they realize they’re going up against a brick wall dealing with the insurance company. Usually when people hire us, they are willing to go through the legal process and to follow our advice. Sometimes you’ll see people that have financial difficulties because of the injuries that they suffered, and that unfortunately creates some problems for them too. We always try to work with our clients, explain their rights, and help them as best we can to get through the process until it’s concluded. Have you ever seen people that go through this moral dilemma because it is a dog and they’re an animal lover? Have you ever heard of anything like that? Sure, of course. That can be common. Listen, I love dogs very much myself and we’re not trying to harm the dog by any means. It’s just a matter of, under the law, the person that’s injured by a dog bite or dog attack may be entitled to compensation. Our goal is to make sure that the injured person’s legal rights are protected. Usually, the person, once they’re harmed, doesn’t start disliking all dogs or even that particular dog. They just need to get help because they’re incurring significant medical bills and other problems that they’re having – pain, of course, and other different types of discomfort and harm. So it’s very important that they get the just compensation they’re entitled to if the dog owner is legally at fault. What sort of psychological effects have you seen in your experience? What kind of psychological effects or mindsets of individuals have you seen clients endure? Great question. The psychological aspect is very important for victims of dog bites or dog attacks. A bite or attack can be very traumatic and it causes some people to have feelings of anxiety or terror when they encounter other dogs. Even if those dogs are sweet and wouldn’t harm anybody, victims of previous attacks may experience feelings of fear and terror flooding back to them from their traumatic experiences. A lot of times people that are victims of bites and attacks need to get psychological care and treatment to try to help them to overcome, hopefully over time, their fears and to hopefully get over the trauma as best they can. If a dog owner doesn’t have insurance, what happens then? Unfortunately, that can be an all too-common scenario. We’ve had situations where an injured person comes to us and they were bitten or attacked by a dog, but the dog owner doesn’t have homeowners or renters insurance. If they don’t have homeowners or renters insurance, or umbrella insurance, or some kind of insurance that would cover the damages or harm caused by the dog attack, we would have to look and see if the dog owner has significant assets like a house. Does that house have equity? In other words, is there value significantly above the value of any mortgages on the property or the house? If not, we can always try an asset search to see if they own significant things of value. If the dog owner does not have insurance to cover the dog bite or attack and they don’t own anything of significant value, that makes it difficult to proceed because any judgment for damages may not be effectively collectible against them. Why would an attorney not want to take a case? I can think of several reasons. One is the one I just gave you where the dog owner has no insurance and no significant assets, so there’s nothing really to collect from, basically. A second reason could be that the injuries of the dog victim are very minor – just a little bit of bruising, the dog bite didn’t puncture the skin – and the damages they have may be very little in medical bills and there’s really no need for future medical treatment. It could be one of those situations where the attorney may not want to get involved based on the anticipated work involved and the range of recovery. The third reason could be that the way that the dog bite or attack happened would make it not the fault of the dog. For example, if someone was provoking or tormenting a dog, and the dog finally snaps and bites them, I wouldn’t want to take a case like that. How long could a dog bite case take? A case can take several years. Typically, at least in Los Angeles County, once a lawsuit’s filed, the trial date is assigned about 18 months out. Some cases settle faster and some settle right before trial while other cases have to go to trial. It just depends on the particular case including the injuries and damages that are involved as well as the nature of the dog bite or attack in that case. Are there any instances in which a dog owner could face criminal charges? Yes. There have been cases where dog owners faced criminal charges where they owned dangerous dogs that they don’t keep any control over. For example, there was a case where somebody had a ton of pit bulls on their property, and they got out and started mauling somebody and killed them. It was shown that the owner did absolutely nothing to make sure the dogs were kept safely on their property. What would happen to the dog owner if this was not the first time that this has happened? If it’s something serious enough, they can even face possible criminal charges or they could be fined. They could face a lawsuit by the victim also. The owner has to make sure he or she takes care of their dogs in a safe manner. Hopefully on their property they have fences, gates, enclosures, things like that. What happens if it’s with a different animal some years later and that person just so happens to have another type of dog that went and bit someone? If it’s the first time a new dog attacks somebody, it may not necessarily be taken away. If the owner is engaging in some kind of crazy conduct where they’re just breeding dogs to fight, they could certainly be prosecuted for that.